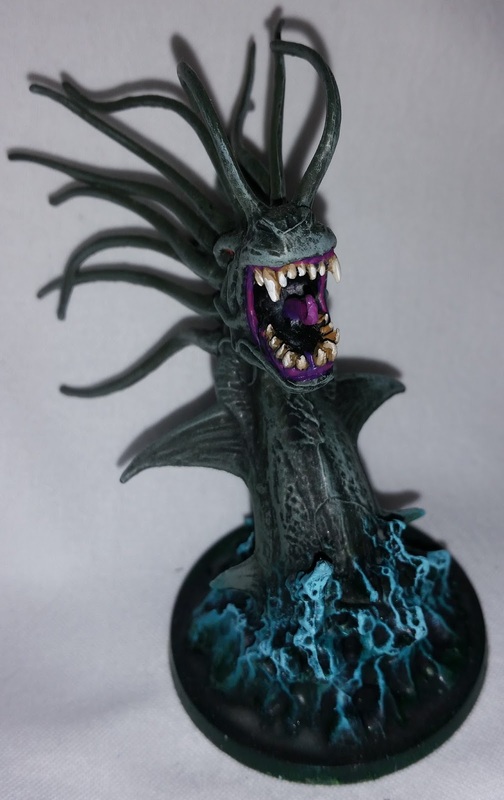 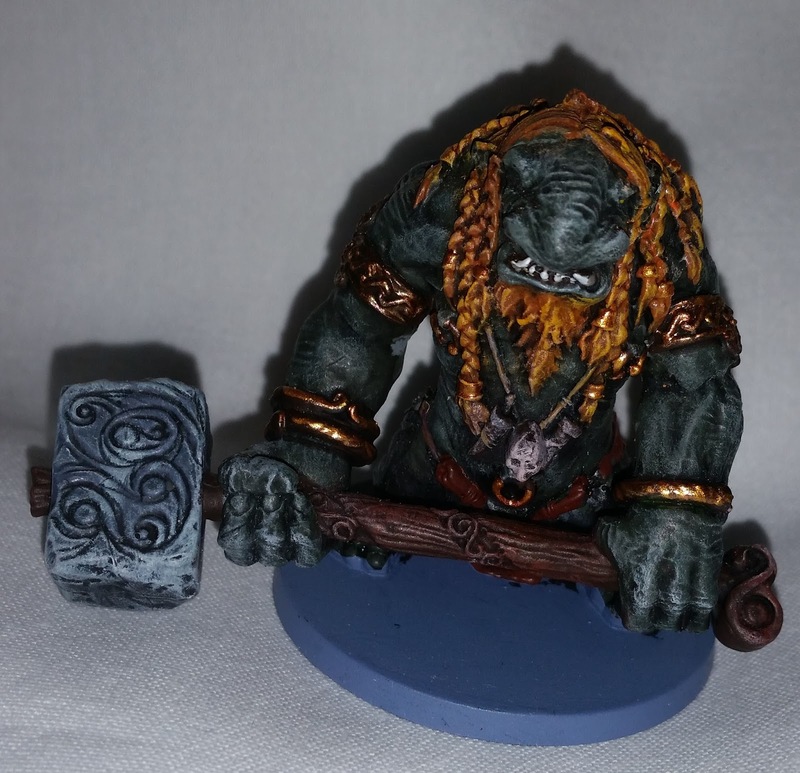 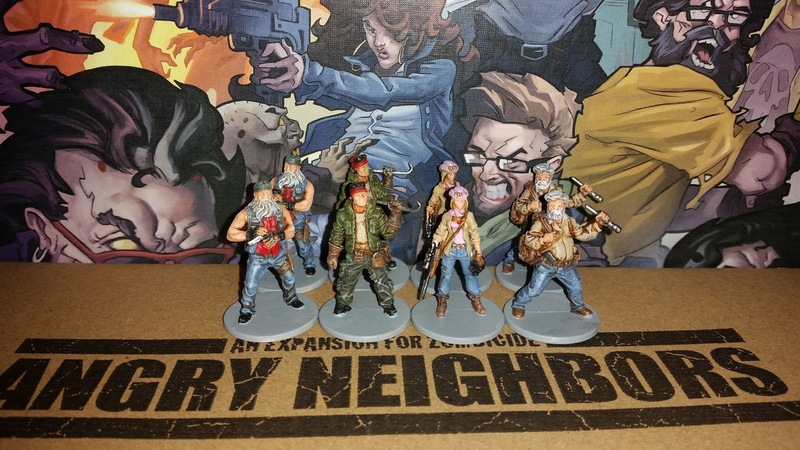 Another Kickstarter from Cool Mini or Not. 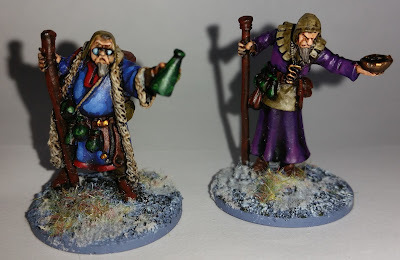 Some really REALLY lovely miniatures in here that will be perfect in other settings, not least Frostgrave. 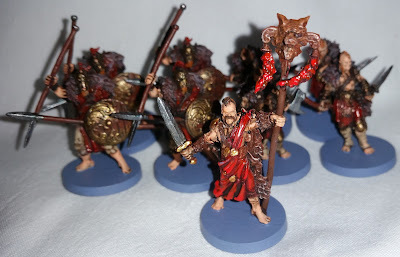 Looking at some of these miniatures it's often hard to accept that they're not actually even in hard plastic and instead are in the sort of soft plastic that toy soldiers of my childhood were made! I'm now back from a(nother) few months working away. 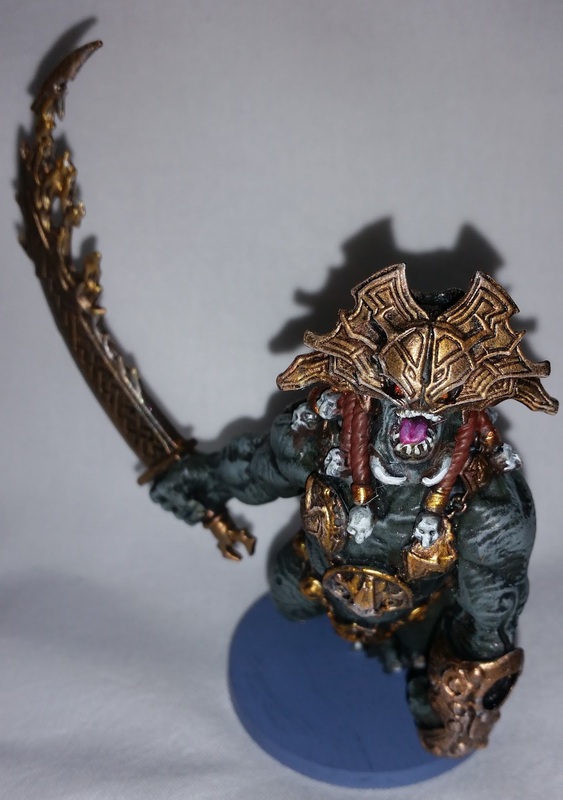 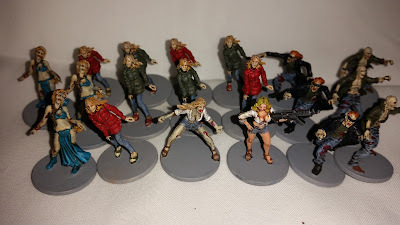 On the upside I got quite a bit of painting time in during the evenings. 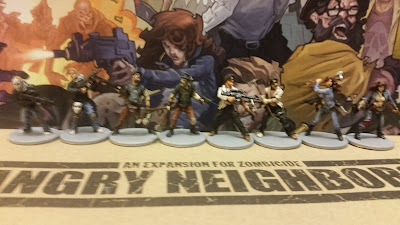 This meant that I managed to catch up of major Kickstarter projects ....... just in time for Project Z to turn up. 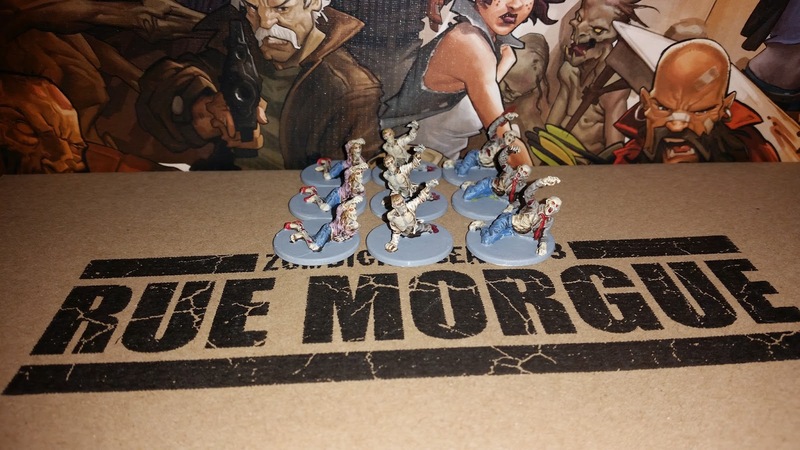 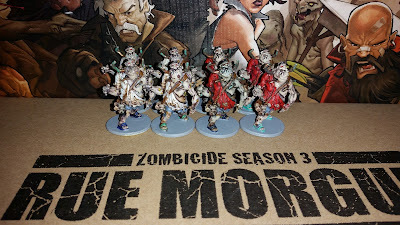 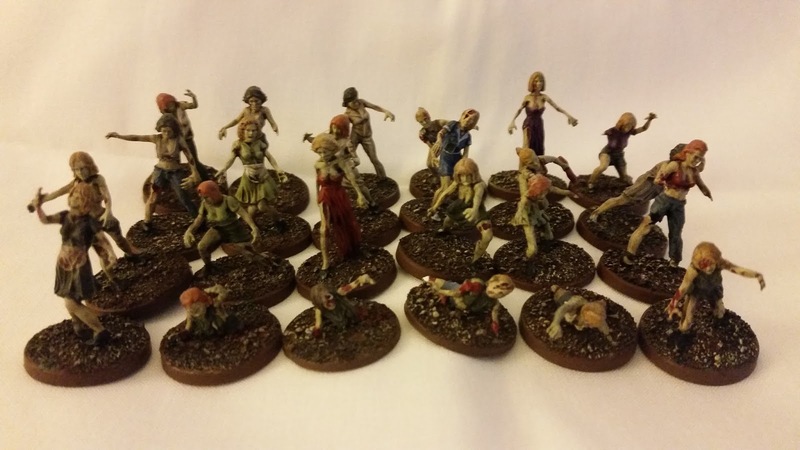 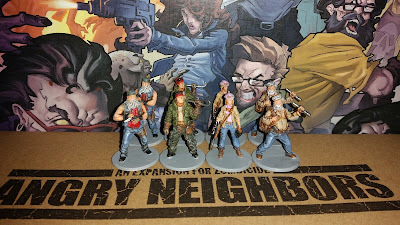 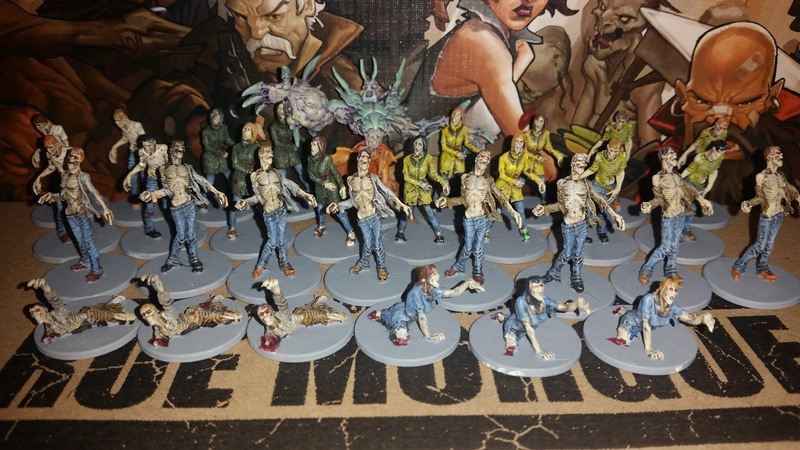 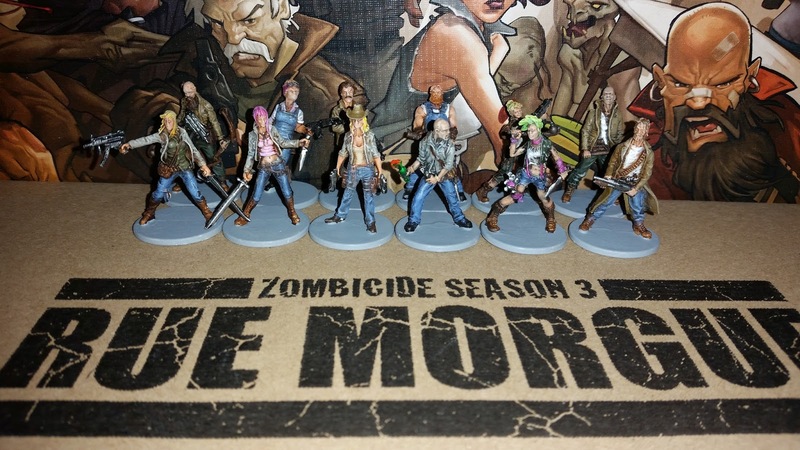 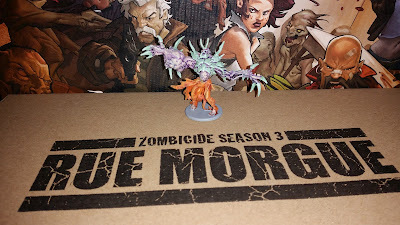 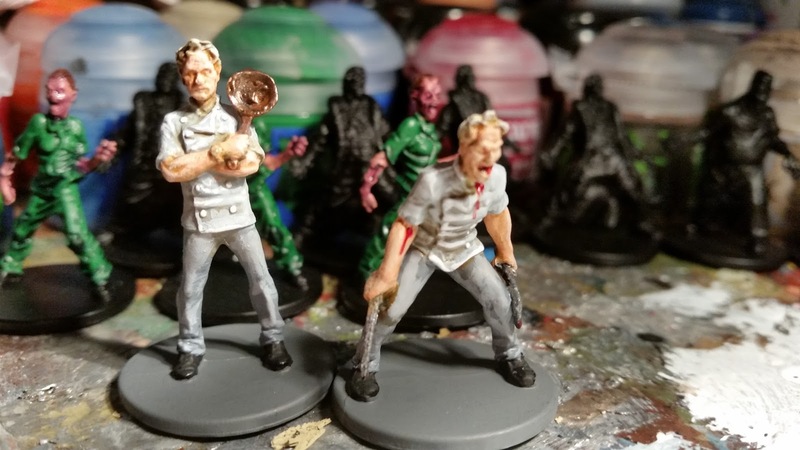 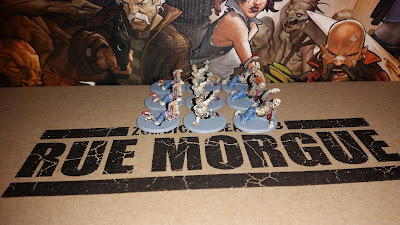 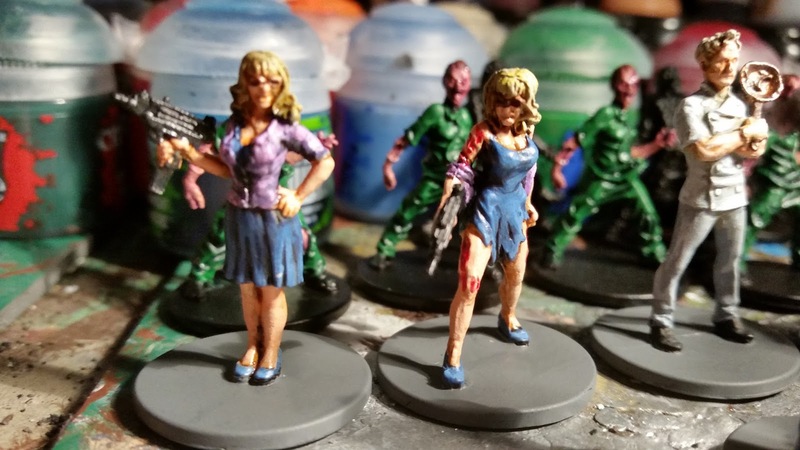 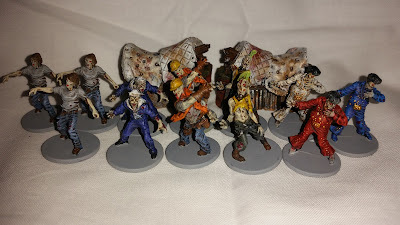 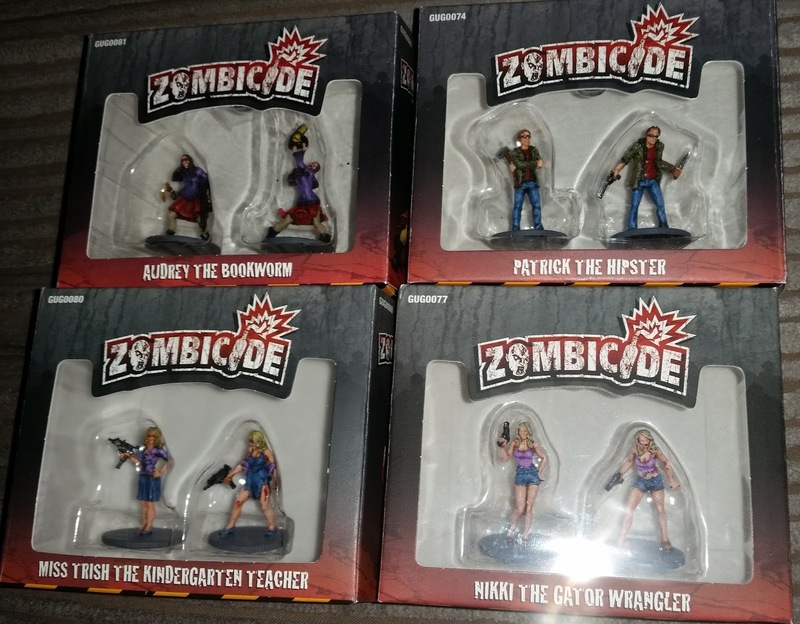 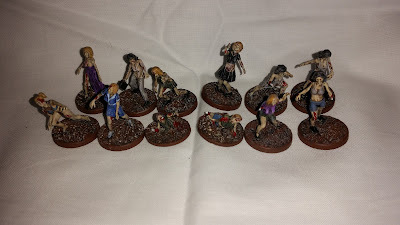 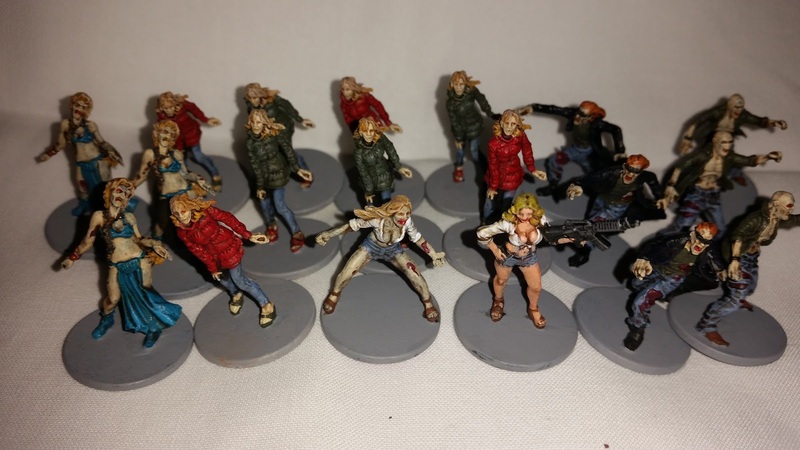 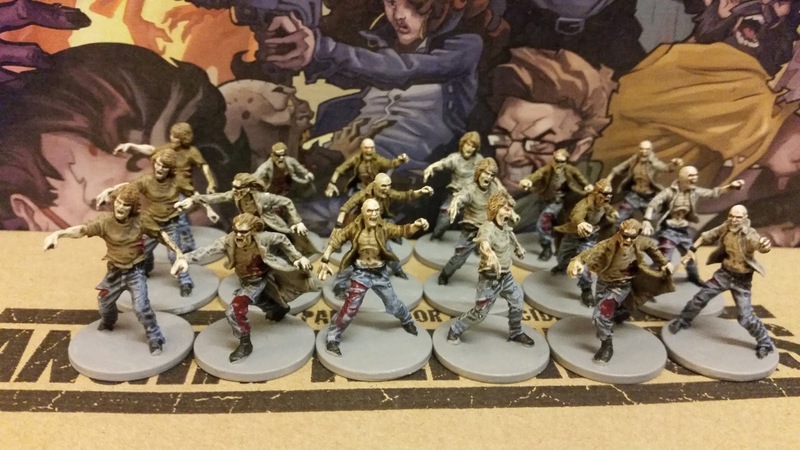 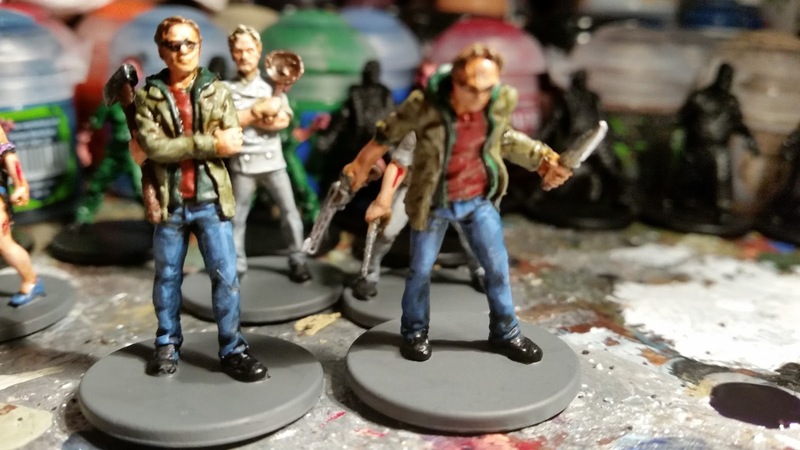 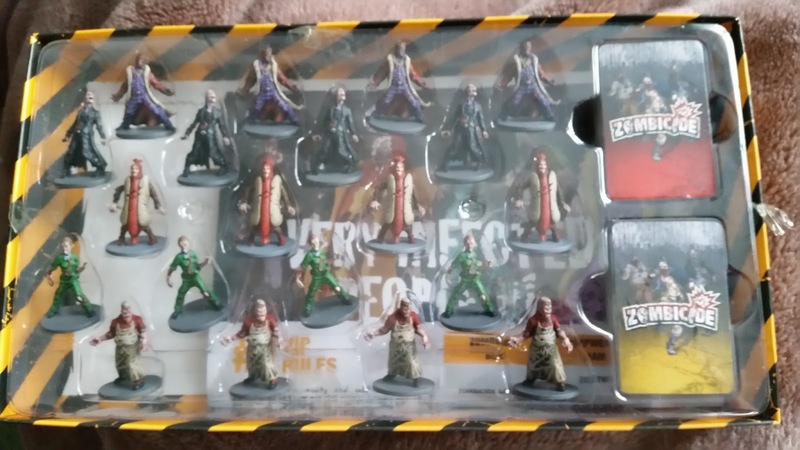 So in now particular order, here are the results for Zombicide Season 3 Rue Morgue and Angry Neighbours. 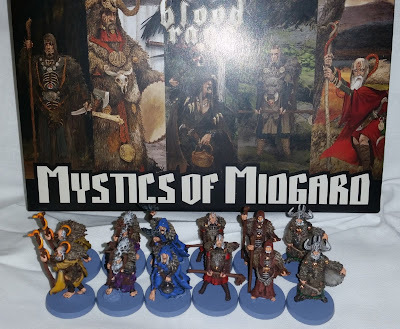 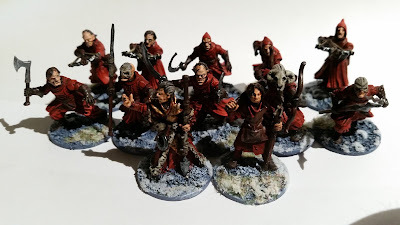 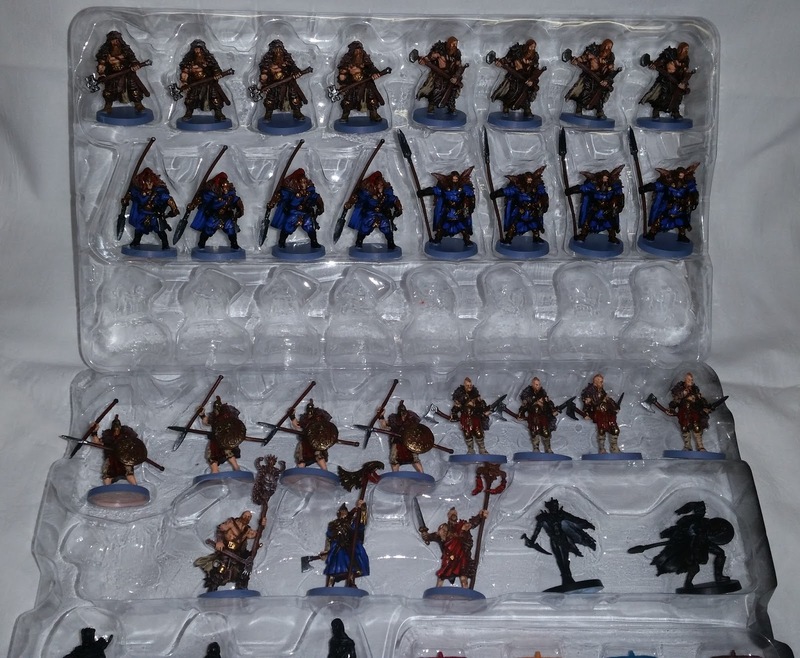 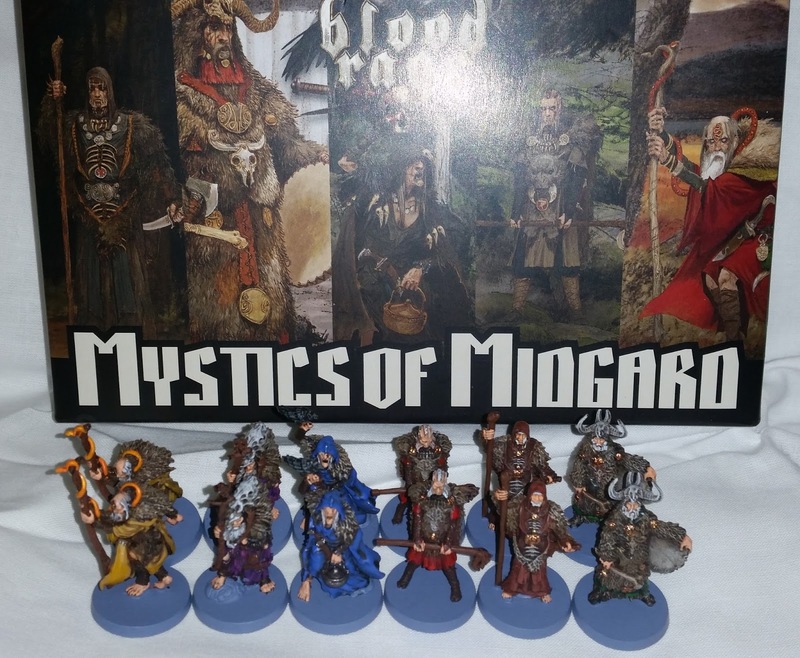 Okay, so these are not all strictly Frostgrave miniatures; quite a few of them are actually from Blood Rage by Cool Mini or Not. 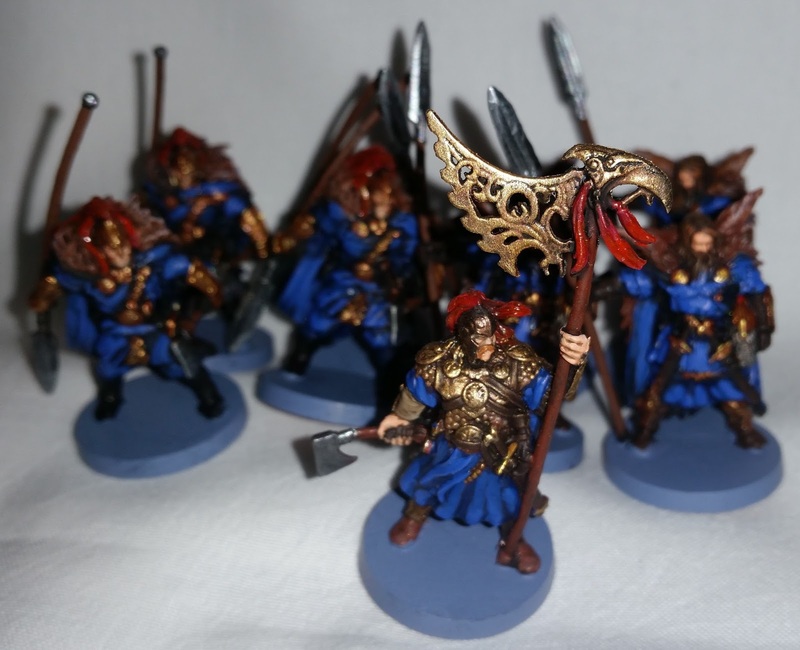 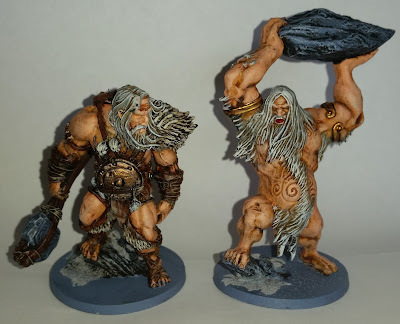 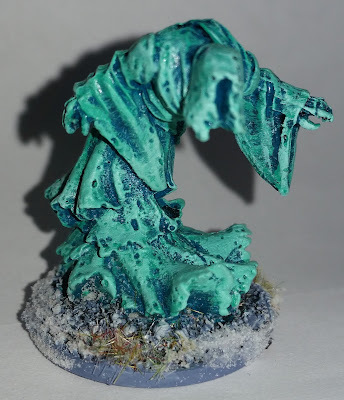 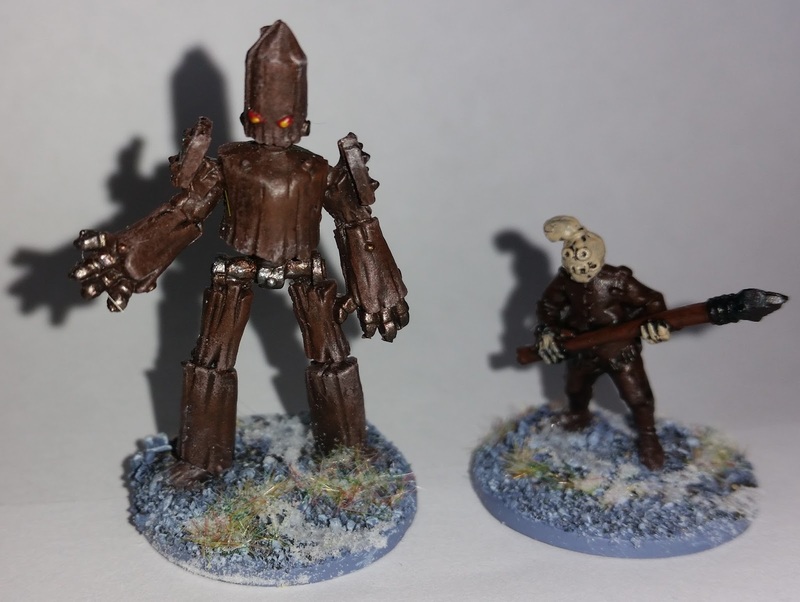 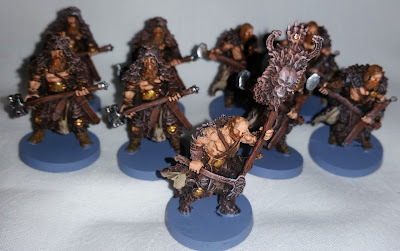 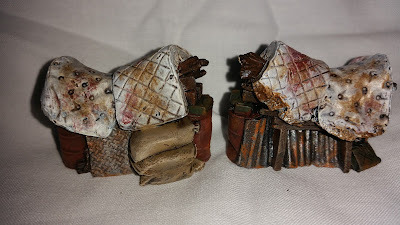 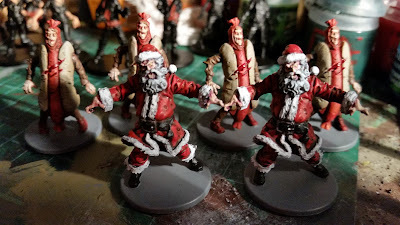 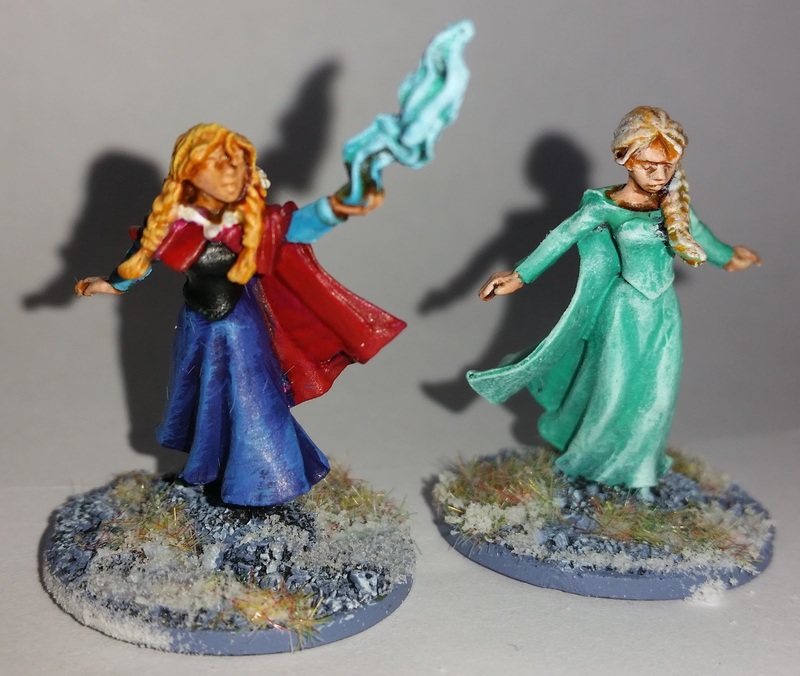 However, they're positively perfect for Frostgrave. 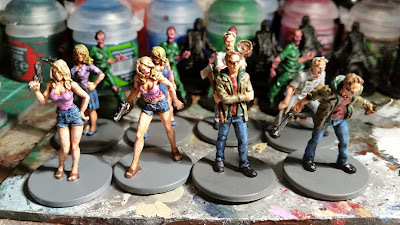 I'm working away during the week for the next 8 weeks which is completely rubbish but hopefully it might afford me some painting time in the evenings. 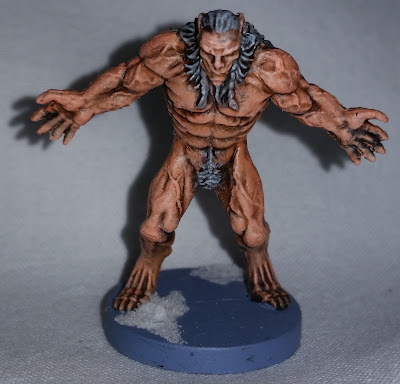 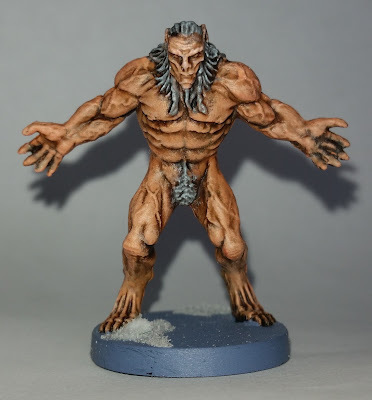 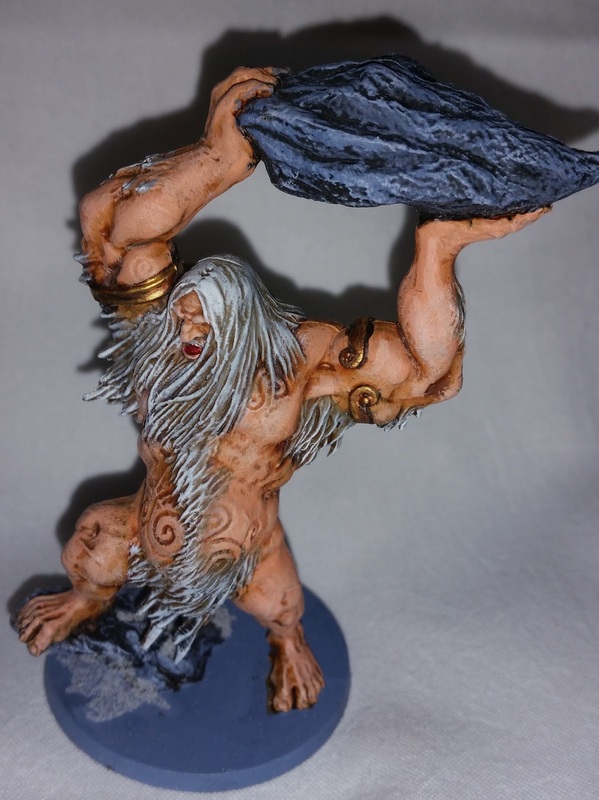 This will be good as there's a lot of miniatures in Blood Rage! It's actually been a couple of weeks since I painted these guys but I've not had time to post much. 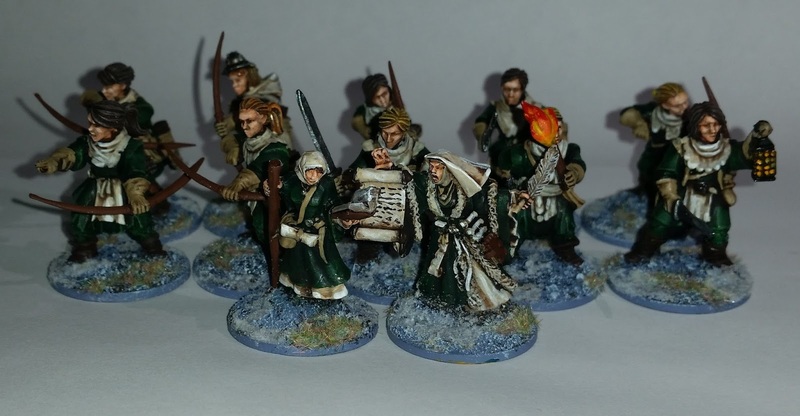 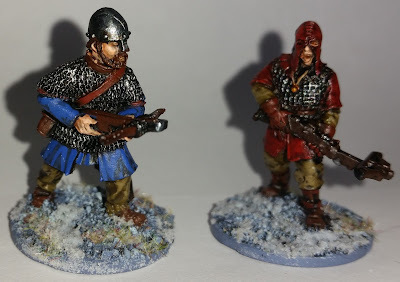 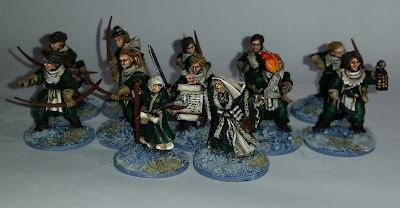 I've now got 4 basic warbands together for Frostgrave. 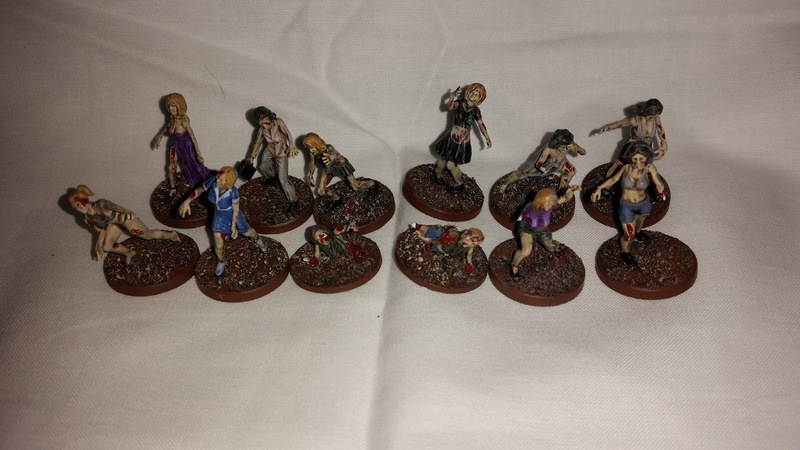 Two were shown earlier and below are the other two and some all up shots. 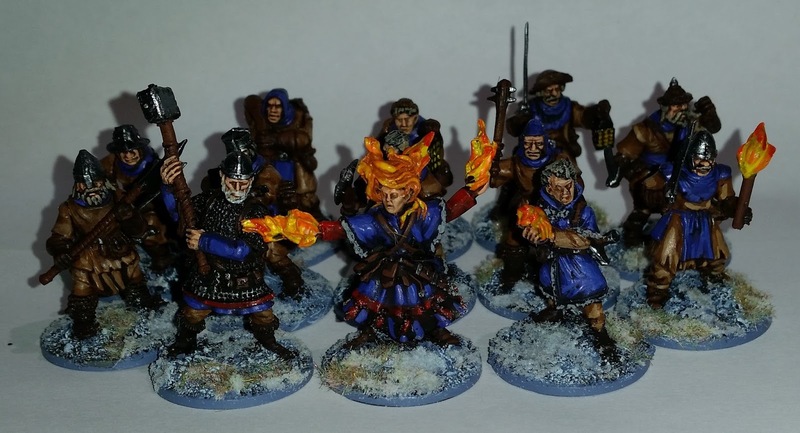 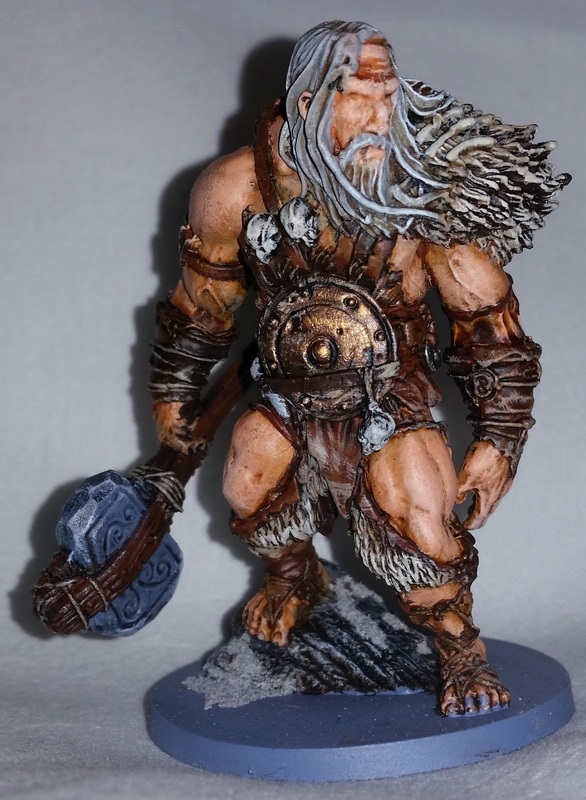 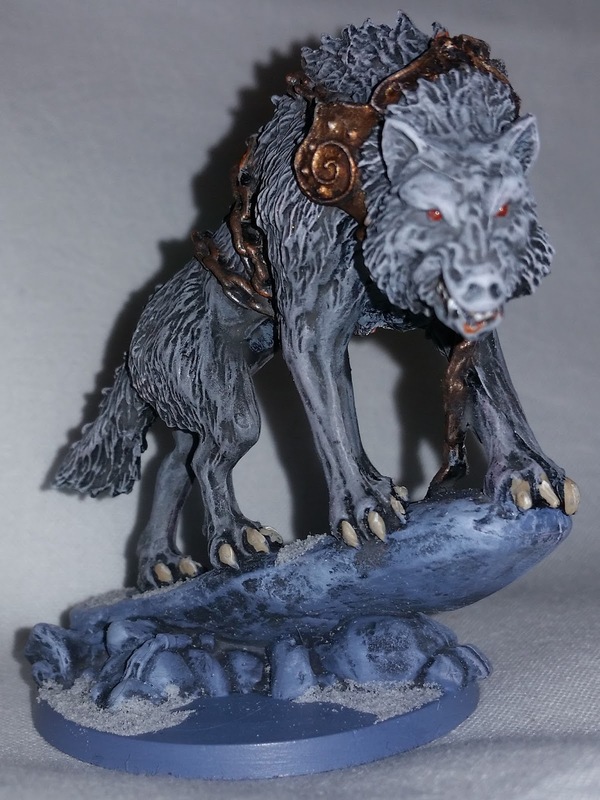 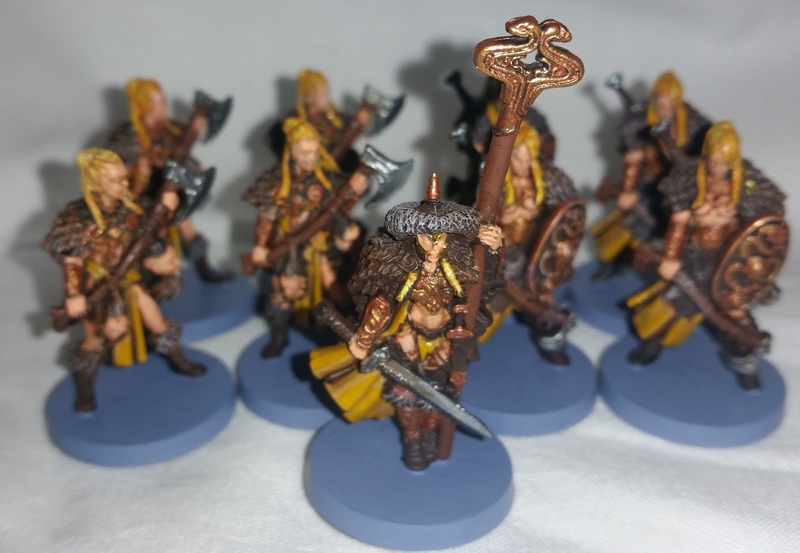 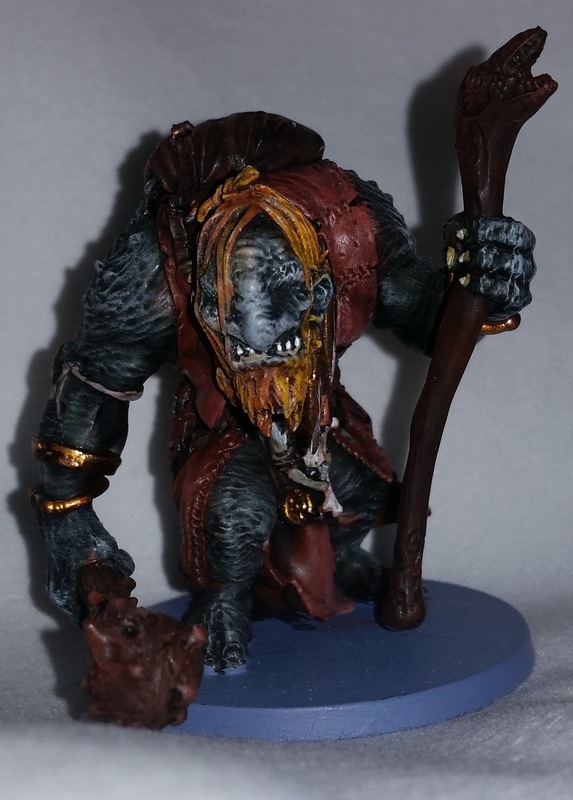 I've got a few other bits and pieces to paint now including some of the rather excellent miniatures from Blood Rage by CMON that are "Frostgrave Friendly". 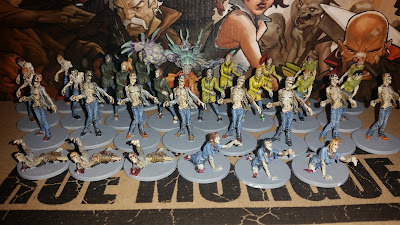 Hopefully I'll get chance to tackle these in the coming weeks as sadly I'm going to be away from home a lot. Still this gives me the chance to get some painting done at the very least.